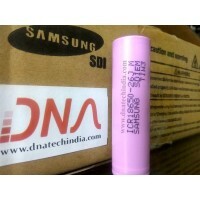 Buy online Development Boards in India at low cost from DNA Technology. DNA Technology presents a collection of Microcontroller Development boards which are perfect for Students and hobbyist to implement there projects without much hassle. These are low cost affordable boards which students can use for learning Microcontroller. IOIO OTG Development Board V2.2Are you a Java developer looking to add advanced hardware I/O capabil..
MSP-EXP430G2 LaunchPad Development KitThe MSP-EXP430G2 LaunchPad Development Kit is an easy-to-use m..
STM8S103f3p6 Development BoardThis development board is a minimal breakout board for the STM8S003F3P..